Photo Credit: ABC News Australia. Just to remind ourselves what happened last time. It’s Matchday for the Taeguk Warriors. Our Taeguk Warriors have traveled Down Under to Brisbane, Australia for their final tune-up matches before January’s Asian Cup kicks off. We’ll first take on Australia at Brisbane’s Suncorp Stadium in a few hours and then play Uzbekistan on Tuesday. These fixtures promise to be extra competitive because both of Korea’s opponents are also preparing for the Asian Cup and will want to test themselves against Asian opposition. Let’s take a look at the squad Paulo Bento has brought to Australia. 🇰🇷 축구 국가대표팀 배번명단을 공개합니다! 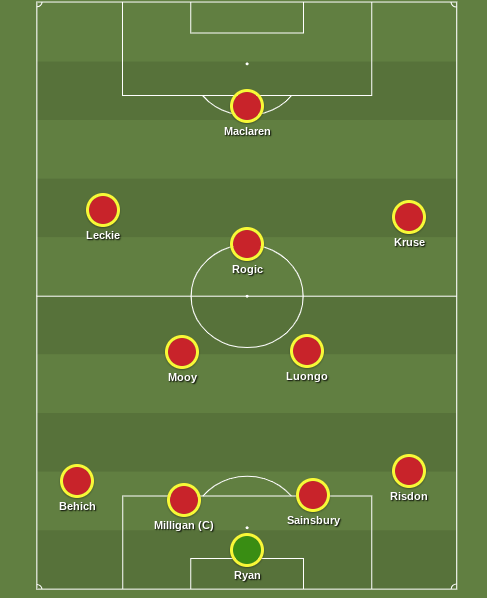 This squad is notably short of its usual stars for some reasons planned and unplanned. Son Heungmin is not in this squad because the KFA agreed with Tottenham that he would miss the November friendlies as well as the first 2 Asian Cup group stage matches in exchange for his participation at the Asian Games. This is great news for Sonny, who really needs some rest and will not be asked to make the marathon journey to Australia. Ki Sungyeung, just breaking into Newcastle’s starting XI, will also take a rest this break. From the 2.Bundesliga, Hwang Heechan and Lee Jaesung are getting back to full fitness after some injury issues so they’ll be absent and resting as well. On the plus side, Bento will welcome back Koo Jacheol, back to full fitness for Augsburg, and Lee Chungyong, finally playing regularly for VFL Bochum. 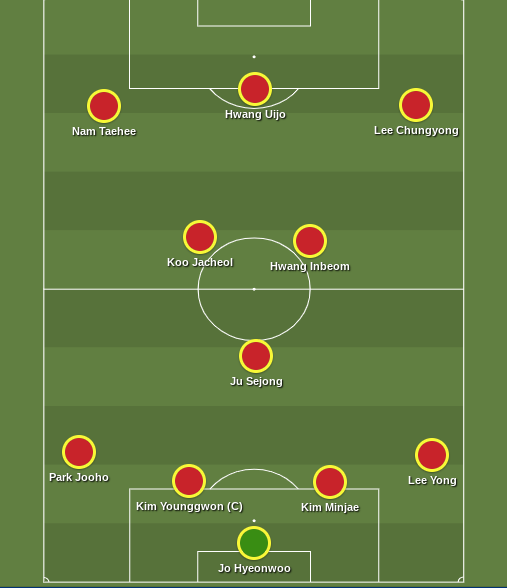 The resulting squad that Bento has is experimental and would seem to represent a lot of promising players looking to fight their way into the KNT squad on a regular basis. Young players like Kim Jungmin, Hwang Inbeom, and Lee Jinhyun were all regulars at the Asian Games, but are they ready to boss the midfield at the senior level? Can a young player from last year’s U20 World Cup, Lee Youhyeon, make a case for himself as a future RB? Will Jung Seunghyun and Kim Minjae assert themselves as a strong CB pairing for the future? These are the types of questions that Bento will have to answer in the coming four years so that he can build a squad filled with depth at all positions and the right mix of youth and experience. It’s a sensible idea to give these youth players a chance against the Asian opponents they will play against in World Cup qualifying in the next few years. I hope Bento goes for an experienced starting XI to give Australia a tough test and then makes some second half substitutions to try out some younger players. Score Prediction: 3-1 Korea. I just want revenge for last time. See you in a few hours! That Halfie Korean-American who loves football (I mean, soccer).